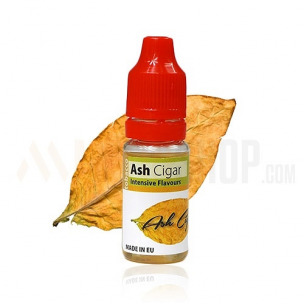 Ash Cigar 100ml. Very strong tobacco flavour, pure essence from tobacco leaves. Perfect proposition for heavy smokers. Dosage 6-8%. Bottle 10ml made from PET material, childproof cap, long, thin dropper. Produced in EU.